Couldn’t someone have loaned Diarmid a watch for this photo? Michael A. Charles is a playwright and a musician. It was only a matter of time before his two passions merged. The result is Room to Breathe, a rock opera being staged at the Mendel Art Gallery in conjunction with the exhibition, Qu’Appelle: Tales of Two Valleys. Room to Breathe, co-written by Andrew Hall, is about a young man quarantined at the Fort San tuberculosis sanatorium in the Qu’Appelle Valley in the early 1900s. Cut off from the outside world, he turns to fantasy. The work features more than a dozen original songs, a four-piece band, five actors plus video sequences. While it’s a fantasy there are nods to Fort San’s history including a scene about a visit by the Prince of Wales, who toured the San in 1919. Charles says people can expect a big sound from the production. Charles and Hall have played together in various bands since they were teenagers. 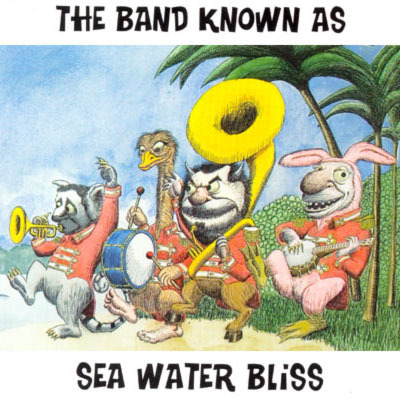 Their pop and jazz-influenced duo, The Band Known As Sea Water Bliss, has been around for about two years. This is the second time they’ve collaborated on a project with the Mendel. Last year they wrote six songs to complement the works of Calgary artist John Will, performing them during the gallery’s Something on Sundays program. Room to Breathe opens Wednesday and runs to June 22 at 7 p.m. at the Mendel. Tickets are $10. Free admission to Tuesday’s preview and the June 23 matinee.